Psypoke - View topic - What is your favourite RBY Pokemon? What is your favourite RBY Pokemon? What is your favourite favourite RBY Pokemon? He heh... Sorry Hypnose, but out of Machamp and all of the other Pokemon, (including Hypno) MACHAMP WILL PREVAIL? MWAAAAAHHHHHHAAAAA! I think that picture of Hypno has it's finger up! 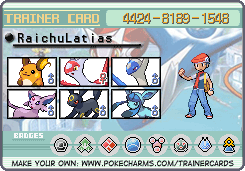 also, next to sum1s it says "bug catcher", or "cooltrainer", or "elite four", how does it change? Why in the world did you put this in the RBY forum? Next time please if you have a question like this put it where it belongs, in the Help forum. 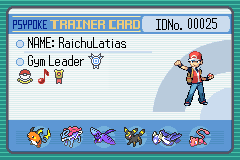 I am currently a Pokemaniac because I have over 50, and RaichuLatias is a Cooltrainer because he/she has over 100 posts. the first 150 pokemon were the best ! 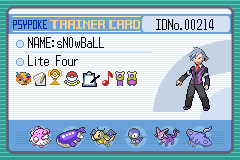 I also like Arcanine, Scyther and Mewtwo! I'm a Male, it would be nice to have the Gender icons like on the other forum. is very beauty! I like in Yellow! Found so many uses for this guy . My favorite Pokemon. I also like Larpas and Vaporeon a lot, too.
. That was before there was Blissey. Who needs potion with this guy around? Softboiled was exclusive to Chansey in RBY. For me is hard to choose, i think the old pokemon are the best!